On November 15, "Harnessing the Power of Big Data" event, initiated by Ucom, was hosted at the regional office of Innovative Solutions and Technologies Center (ISTC) in Armenia. The forum, dedicated to the methods of harnessing the power of Big data, became possible to hold in collaboration with IE Business School, ranked No. 3 in Europe by Financial Times. It's a well-known fact that an unprecedented amount of data has accumulated in the world over the recent decade. During the event, the invited speakers introduced the world of Big data to the participants, spoke about the importance of Big Data and on how to use them. Special attention was given to the usage of Big data in business, in particular, in small enterprises and large corporations. 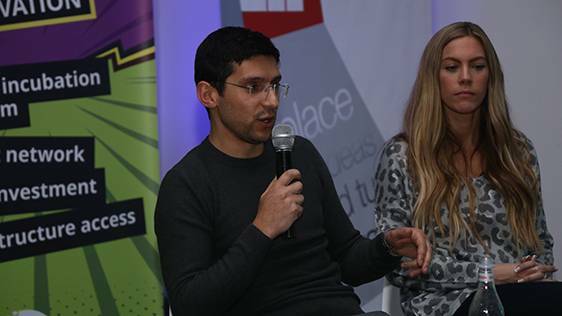 The speakers, among them Christina Stathopoulos, a professor at IE Business School, and Hayk Zargaryan, Senior Oracle DBA, Big Data Architect at Ucom, spoke about why businesses are struggling today to find and adopt new data analysis methods. Christina Stathopoulos' main activity is directed towards studying search engine trends and offering business solutions to Spanish and other international organizations, based on the analysis of study results. According to her, it helps to take business to a new level. In the words of Ucom representative, Ucom is one of the rarest Armenian businesses to collect and analyse Big data. He also detailed the process of collecting and analysing Big data and spoke about the benefits of such process for Ucom. “It is for many times I have mentioned that Ucom is not merely a telecom operator. We’re a digital company, with all its challenges and opportunities. Bid Data-related meetings of this level will be ongoing”, said Hayk Yesayan, the Co-Founder and Director General at Ucom.